White iPhone 4 Delays Due to Light Leakage? 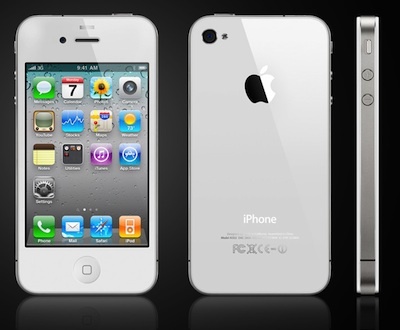 The latest theory on the reason behind Apple's white iPhone 4 delay comes from Scott Moritz of TheStreet, who reports that the issue stems from backlight leakage around the edges of the device's glass and even through its white back. Apparently, the back light from the iPhone display screen is leaking out around the edges of the glass and seeping through the back of the white phone, according to a person familiar with the manufacturing process. According to the report's source, the lower opacity of the white back compared to the black one is responsible for the issue, and the glass construction makes it considerably more difficult to simply fill in the gaps where the light is leaking through than it would for devices with plastic or metal cases. The report also notes that this issue is not unique to Apple's iPhone 4, as the HTC EVO has also received some publicity for minor light leakage through seams in its casing. Previous reports had suggested that the delay was due to paint thickness and color consistency issues with the screen printing process for the white iPhone parts, although the various reports could theoretically be differing descriptions of the same issues coming from parties with only partial knowledge of the situation. Moritz has had a number of inaccurate claims over the years, although he did correctly predict that Apple would introduce $200 subsidies on the iPhone 3G to bring the entry-level price down to $199 back in 2008.